After 25 years here at Shroyer Motor Company I have learned that if it is for sale it is on sale, and if it is on sale it is for sale! Clyde is the nephew of the owner Jack Himes and holds a Masters in Business Education from Northwest Oklahoma State University. Jana Himes, youngest daughter of dealership owners Jack & Terry Himes, joined the family business in the spring of 2014. 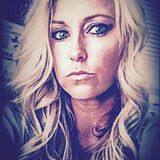 She comes to us with extensive background of 10+ years in sales, Valedictorian of Borden County High School Class of 2000, as well as Honor Graduate of Texas Tech University.